Mark Bouris shows you how to capitalise on your strengths for success on your own terms in both life and work. As host of the TV Show ‘The Mentor‘ and the founder of Mentored, he is one of Australia's best known and most revered business leaders, with decades of success and experience in financial services and technology. Mark first hit the public eye with his Wizard Home Loans business, being one of the first of the new lenders to challenge the big banks in the home loan market. In 2004, the mortgage book of Wizard had grown to over $19 billion and the business was sold for over $500 million. Mark is an Adjunct Professor for Banking & Finance and Business Law & Taxation at the University of New South Wales Australian School of Business and speaks to undergraduate, postgraduate and prospective students about leadership, success, and global economics. He also sits on the UNSW Australian School of Business Advisory Council Board. Mark is the author of ‘Wealth Wizard’ and, most recently, ‘What It Takes’ and he writes a number of financial columns for some of Australia’s most recognised publications. 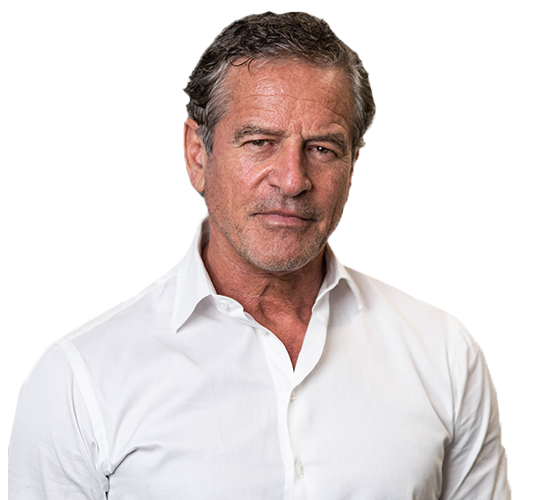 The Board of Trustees of the University of Western Sydney conferred the award of Honorary Doctor of Letters, honoris causa, on Mark Bouris for distinguished service to the financial services industry in Australia. And in 2008 he was awarded as 'Banker of the decade' by the Australian Banking and Finance Magazine. In recent years Mark’s focus has broadened to industries across; technology, biotech, resources and media - holding executive and non-executive positions in each. Currently Chair of the SME Association of Australia - a not-for-profit body which acts as the anchor for more than 300,000 small and medium businesses in Australia Mark is passionate about growing small business and innovation in Australia. Human scaling - Do you have the right people? Your digital system - Is it built to handle your growing needs? Financial capital - Do you have the funds to grow?